Uncategorized articles about mobile website conversion. If you are unsure if you should take the time to optimize your site for mobile users, it’s a good idea to check your traffic statistics to help you reach a educated decision before converting your site to a mobile version. How do you find your mobile traffic numbers? 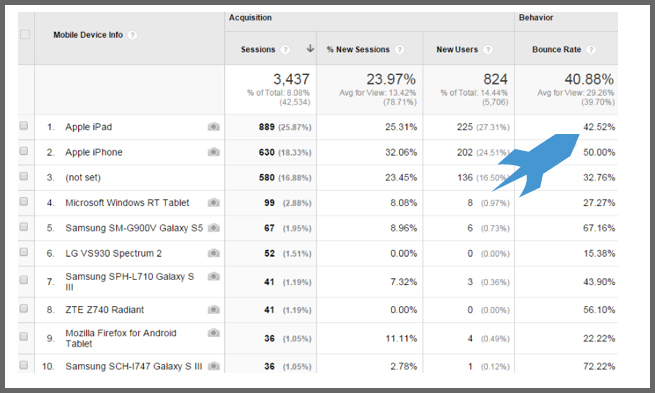 If you use Google Analytics on your site, you can perform a detailed analysis. After you log in to your Google Analytics account, choose the domain name you want to analyze. 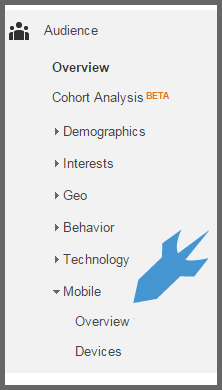 Next, in the column on the left, click on Audience > Mobile > Overview. On the right, below the graph, compare the percentages in the New Users column. How much traffic is coming from mobile or tablet devices versus desktop?